Hey! Sorry for not keeping my promise to post soon :( Been a super hectic month and it's going to continue. Wish me a huge luck, ok? I even missed the start of NYFW! Yes! 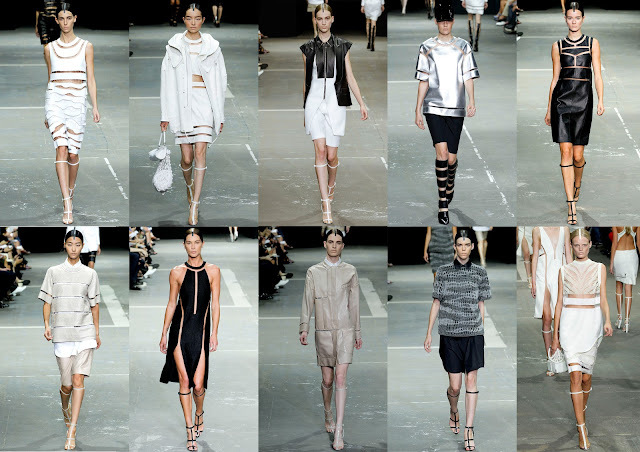 It's back again, the mighty Spring 2013 RTW collection~ Wuhuuuu! To not piling my works in one corner I decide to try to post the collection's update more often than before, especially my favourite brands and the collection that steals my attention. It's going to be a quite long compilation of Spring collection! It's already 1 a.m. and I'll have a flight at 4 to Jakarta and later noon to Taiwan. I'll be there for 5 days~ So, see you when I'm back! I love those collections. Cute outfits! You have a really nice layout and header by the way. i followed your blog, i hope you do the same. One of my favourites at fashion week, he never goes wrong does he? Wang is a genius!